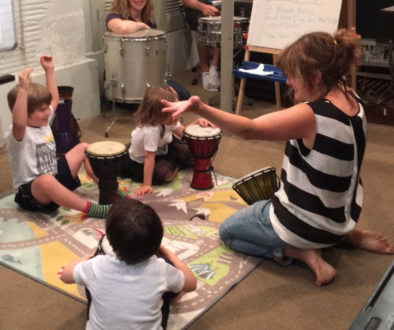 We meet a lot of parents at Brooklyn Music Factory who are stuck with similar questions and concerns when they’re just starting out with music lessons. How do I get my kids to practice? When should they play? How much should they play? Should I push them to practice? The bottom line is, you have to start thinking about the music lesson experience as a family affair. You’re not just dropping your child off at piano lessons (that’s the model that failed many of us when we were young and quit our music lessons). It takes an investment of time and energy, but the rewards are outstanding. When you build a culture of music in your home, the motivation to play, improve on and enjoy an instrument skyrockets. So what should can you do from day one to make sure your family is engaged in making music? We’ve compiled a list of 5 very simple ways you and your entire family can start making music together this week. This list is available as part of a free Musical Family Toolkit, which also includes our gear buying guide, music store checklist and step by step instructions on how to build the ideal musical play space in your home. Percussion Party! Choose a favorite song from a CD, Spotify, etc and hit play! Everyone grab a percussion instrument (hand drum, egg shaker, tambourine, etc.) and plays along however you want. Take turns choosing the song. 3 Minute Jam: Set the timer for 3 minutes. Everyone choose an instrument to play. Choose one person to start playing a rhythm – any rhythm!- on their instrument. Everyone layers in one by one, listening to the next person. 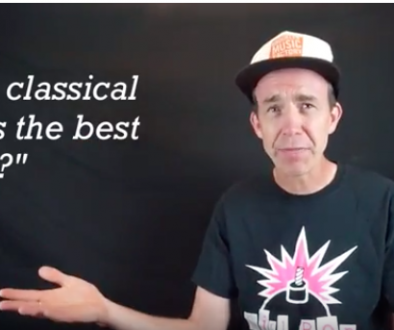 There are no “wrong notes” only fun sounds, and don’t forget to listen to each other! Play until the timer stops. Ready for more? Switch instruments and start again! Experiment with slow, fast, loud and soft. Favorite Things: Everyone grab a percussion instrument and sit in a circle. Start a groove together (which basically just means, start playing!). Choose a topic like animals, and take turns going around the circle, each person saying an animal. Only rule- try to say it along with the beat! Keep it going with foods, countries, movies, books, etc. 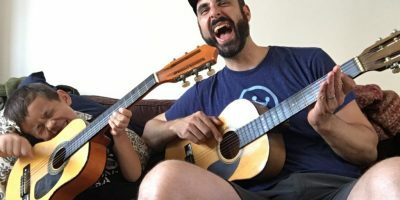 Try any one of these music games with your family and you’ll already be ahead of the curve when it comes to starting music lessons right. We put together this Musical Family Toolkit to help parents everywhere start their family’s music lesson journey in the best way possible, based on the lessons we’ve learned here at Brooklyn Music Factory working with thousands of families. Up Next: How to Choose the Right Music Teacher for Your Child.